Phone Lover? In this post we will guide you how to customize the Motorola Moto X and then buy the Customized Moto X. Many people would be knowing about what I’m sharing, but many of them wouldn’t have known about this. Basically the thing is you can make changes in the Moto X which you are going to buy and this is only for people living in the USA. By Customization I don’t mean that you will be able to choose the hardware you want, neither you can customize the hardware configurations, by customization I mean some Customization in Looks, which includes the Back customization, Front side customization, Accent color customization, add a Signature other than looks some features of the Moto X which can be customized this include Memory Size, Power On Screen and the wallpaper. 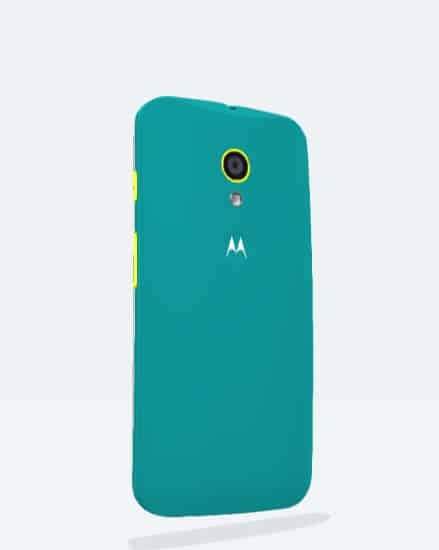 Well this section involves customization of the Back Side color of the Motorola Moto X Smartphone. You can choose the Flavor as well, It has some flavors which include Cool, Neutral, Warm and Natural and after selecting the Flavor you can choose the color you would like to have as the Back side, you will get the live preview of the color you choose which would make it easy for you to choose the best for you. Here I’ve chosen the Cool Flavor and have selected two different colors of my choice, you can chose any color you like and the flavor of your Choice. You’ve already seen the Back Side color Customization above, similarly you can customize the Front color of the Moto X you are going to Buy. The Front color customization menu also has customization similar to the back color menu but the only difference is that there are only “Two colors” which can be the Front color of your Phone they are “White and Black color” but both the colors look cool with all the Back side colors. You can yourself change the backside color and see it with both the colors and you will feel that all of the back colors look cool with the White and Black front color of the Moto X. Well, You’ve seen the customization of the Front color and the Back color, Besides customization the Front color and the Back color you can also customize the color of the Accent. The accent includes the Button and the ring besides camera. There are 10 colors which you can choose. The selection of the accent color completely depends on the Front color and the back color which is selected, if you are having Black Front and Blue Back, then you can see the above image, it has the combinations I liked the most. Signature Customization refers to the customization of the signature on the Phone. As seen in the above screenshot How I added my signature you can also add your own custom signature, this thing is optional if you don’t want then you can leave it blank and the signature of the carrier will appear, But I would like to have a Phone with my back color printed on the back side of the phone. Besides the Styling tab you would see a Features tab also, In the Features tab you will find Storage, Power On, Google Sync and Wallpaper Customization options. In Storage Customization, you can customize the amount of storage you would like to have in your Phone and in Power on customization you can add your name in the Power on screen, in wallpaper customization you can customize which wallpaper you would like to have when you get the phone in your Hand and in Google Account Sync you can get the phone with your Google account already synced in it. Well I wouldn’t be going with all the Feature Customization because they are damn easy to be performed and have nothing much to deal with but I would focus on the Customization of the Power On Screen. 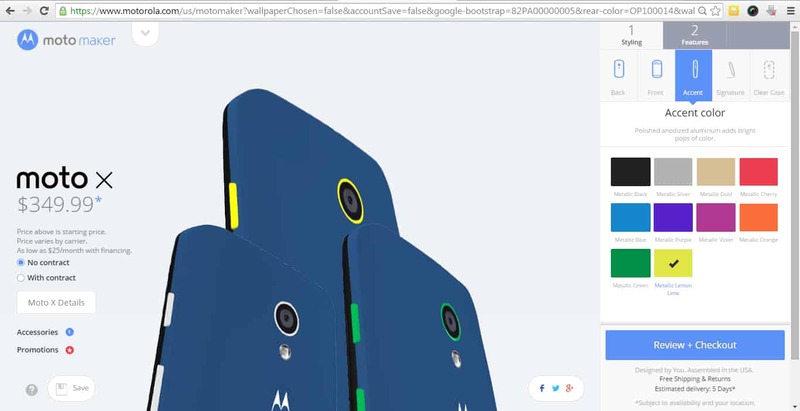 The Moto maker enables people to add the custom text on the power on screen, the power on screen is the screen which a user will see a the time of starting the phone. You can add your name, if you are gifting someone then you can add their name or if you want to have your pet name then you can go with it! You can simply write the text in the Power on Screen Customization menu and you will see it ! That’s all, you can proceed with the Payment for the Phone, you can also select the carrier if you have those in your country 0r you can get the phones manufactured by the Carriers. I’m not buying it so I didn’t post the screenshots of the Payment procedure. 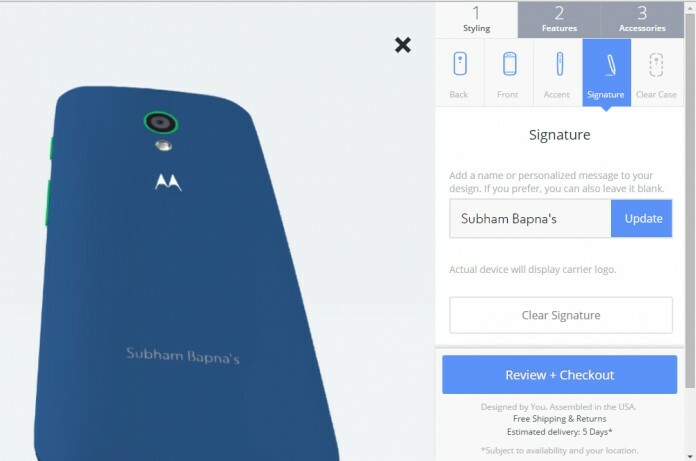 But since Motorola has made such an User Friendly Customization View – Moto Maker, The payment and all would also be easy! What is a Fiberscope and What are they Used For?